Why is dental care so important for our dogs? It's because poor dental health can lead to a lot of health problems not only limited to the mouth but also other parts of the body, such as the heart, liver, and kidneys. Rather disappointingly, it is estimated that a majority of dogs (about 80%) over the age of 3 have some form of dental or gum diseases, and the main cause is a lack of dental care provided on a regular basis by their dog parents. Giving good and regular dental care to our dogs not only helps prevent dental and other health problems, it can also save us money in the long run since veterinary dental treatment is not cheap! 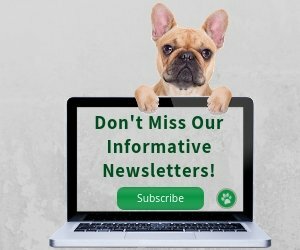 What are Some Common Dog Dental Problems? What are the Signs of Dog Dental Problems? What Supplements are Good for Dog Dental Health? 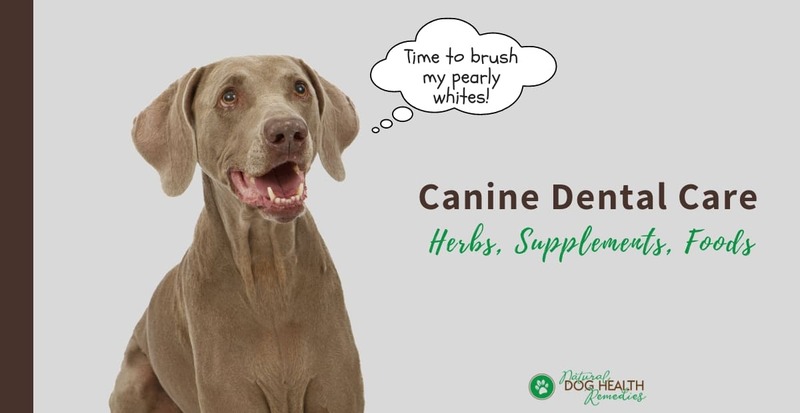 What Herbs Promote Dental Health in Dogs? 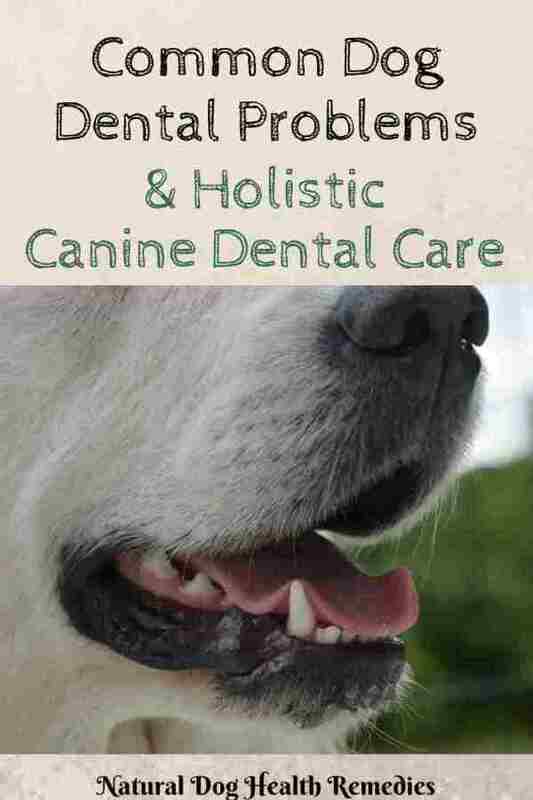 What Foods Can HelpPrevent Dental Problems in Dogs? As mentioned above, canine dental problems can have various adverse health effects on the whole dog. Visit this page to read more on this topic. Plaque is formed when debris (such as food particles) trapped along the gumline is not removed. Plaque can easily harden to become tartar in a matter of days. So, to prevent plaque from turning into tartar, we should brush our dogs' teeth preferably every day, but at least 4-5 times a week. Tartar is formed when plaque is combined with the minerals in the dog's saliva and becomes hardened. When there are hardened substances along the gumline, it is easy to imagine that the gums will be irritated and over time become red and inflamed. When this happens, the dog has developed a gum disease called gingivitis. At this point it is necessary to visit a veterinarian for the removal of the tartar. If the tartar is still not removed, it continues to accumulate along and under the gums. Eventually, the gums will recede and pull away from the teeth, forming an opening between the teeth and the gums. More debris will be collected in the opening, encouraging bacteria to grow. Often, this causes a great deal of pain to the dog. In addition, other complications can arise (e.g. development of abscesses). Small breed dogs (e.g. chihuahuas, toy poodles, pomeranians, etc.) are more prone to develop periodontal disease due to the small size of their mouth - usually the teeth are too crowded in the mouth to be kept clean and debris-free. But of course bigger dogs can just as easily develop periodontal disease if regular canine dental care is not provided. Coenzyme Q10: Dogs with dental problems most likely have red and swollen, sometimes bleeding, gums. Coenzyme Q10 helps gums heal better and quicker. Omega-3 Fatty Acids - Fatty acids are anti-inflammatory and have beneficial results for periodontal inflammation. Probiotics - The mouth and oral cavity are part of the gastrointestinal tract. Also, the gut flora plays a vital role in boosting whole body immunity and reducing chronic inflammation. Supplementing a dog with probiotics has been shown to support oral health. Grapefruit Seed Extract - GSE is a natural antiseptic and can be used both internally and topically. Even at low concentration, it has significant antimicrobial power. Always dilute GSE before use. To clean your dog's teeth and gums, dilute one to six drops of GSE in five ounces of water and use a Q-tip or a gauze-covered finger to apply it to your dog's gums and teeth. Vitamin C: Vitamin C boosts a dog's immune system, so that the body can become strong enough to fight bacteria in the mouth. Fennel - Fennel is rich in vitamin C, has anti-inflammatory properties, and can help fight gingivitis and freshen your dog's breath. Parsley - Parsley also has potent antimicrobial properties and is commonly used as a breath freshener. Dill - Dill has potent antimicrobial properties that helps fight infections. The good news is, all these culinary herbs can easily be fed to your dog. Just sprinkle some of these herbs on his food every day! This herbal formula contains herbs such as calendula, goldenseal, myrrh, marshmallow and licorice, as well as Coenzyme Q-10 and vitamin C. It promotes oral hygiene and prevents bad breath. 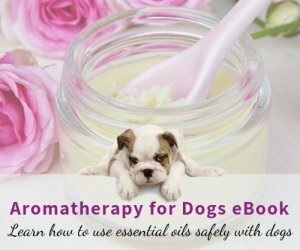 It gives good resistance to oral infections, and if your dog's gum is already inflamed, soothes the gum and prevents problems that result from gum inflammation. We brush our teeth at least twice a day. Why shouldn't we form the habit of brushing our dog's teeth every day as well? Regular daily brushing is an important part of any canine dental care program to prevent dog teeth and gum diseases. While brushing your dog's teeth, look for warning signs of gum disease such as bad breath, and plaque or tartar around the gumline. 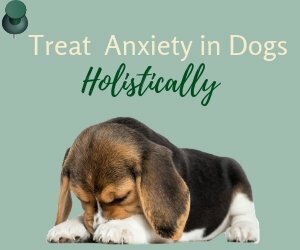 When touching your dog's mouth or the gums, do they move away, obviously in pain? Also look closely for signs of more serious dental problems such as swollen and bleeding gums, loose or missing teeth, etc. Any bumps or masses within the mouth should also be checked by your veterinarian. NOTE: While regular home oral exam helps, it is still important to have your dog checked regularly by a veterinarian or veterinary dentist for any possible teeth or gum problems. 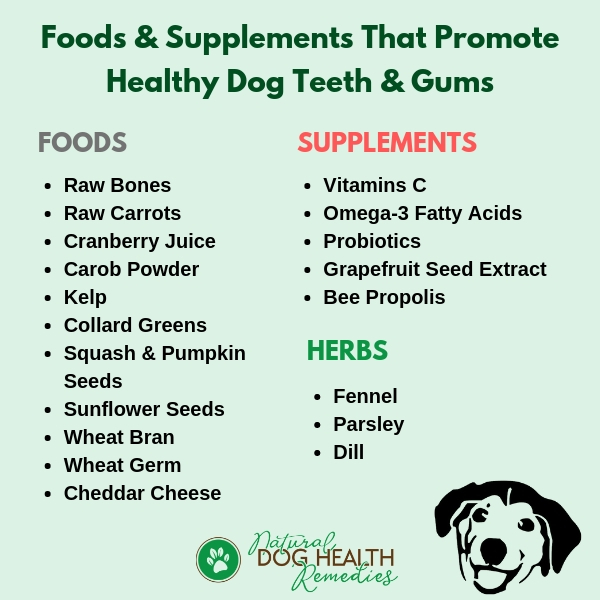 What Foods Can Help Prevent Teeth and Gum Problems in Dogs? Some pet owners still believe that feeding dry pet foods like kibble is beneficial to dental health, although this myth has been disproven in studies such as this one. Kibble is in fact too small to require any major chewing action, and even when chewed it provides minimal cleaning of tartar. Most importantly, kibble cannot promote cleaner teeth at the gumline, where it really matters. Perhaps more significantly, dry pet foods are heavily processed - and these foods are known to actually fuel inflammation in the bdoy, including the mouth and oral tissues. Therefore, as much as you can, try to feed your dog a healthy, nutritious and natural whole-food diet. Sugary snacks and foods rich in starch are definite no-no! Include fresh vegetables such as broccoli and leafy greens in your dog's diet. Hard raw vegetables such as carrots can be given to your dog regularly as dental treats. Minerals and vitamins that are good for your dog's teeth include calcium, phosphorus, vitamins C and B complex. One good source of calcium and phosphorus is brewer's yeast. Raw bones are also rich in calcium. In addition, they contain probiotic bacteria and enzymes that help maintain healthy "friendly" bacterial flora in the dog's mouth. These friendly bacteria keep harmful bacteria at bay before they can multiply in the mouth causing gingivitis and other infections. In addition, chewing on raw meaty bones can mechanically clean the dog's teeth and help prevent tartar formation. Remember to use big organic marrow bones and knuckle bones. Never give cooked bones to your dog as they create the danger of potential splintering and perforation of the GI tract. Cooked bones can also break teeth, as can items such as bully sticks, nylon bones, antlers, and hooves. Oats are rich in minerals such as potassium, calcium, magnesium, and phosphorus, as well as vitamins B and E. They are nutritive and support strong teeth. Cranberries can also help prevent dental disease in dogs. Research has found that compounds in cranberries not only inhibit the enzymes associated with dental plaque formation, but can also stop the bacteria from sticking to surfaces. Cranberry juice has also been shown to be powerful for fighting cavities by inhibiting the proliferation of certain oral bacteria responsible for dental plaque and periodontal disease. Find out more reasons why dogs may have bad breath.